If you love mason jars as much as I do, you want to put them on every surface. 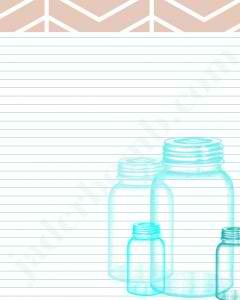 Jaderbomb has added them to a great printable for you so that you can use mason jars to take notes. Print out these pages then make your grocery list on a mason jar themed paper. Please click over to the original source to pin images.